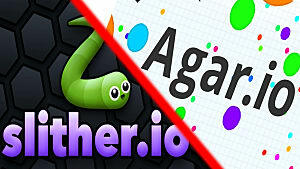 How many Slither.io clones are out there these days? Hundreds, if not thousands if you count all the really terrible ones that have found their way to Google Play and either died or been removed. 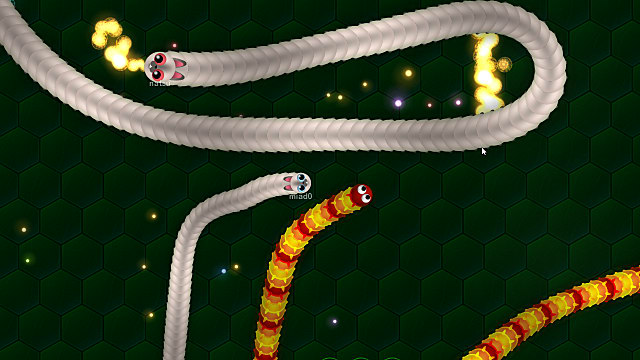 Wormax.io is yet another clone of the ever-popular Slither.io -- but unlike many before it, it brings some new stuff to the table that makes me consider switching to it over Slither. 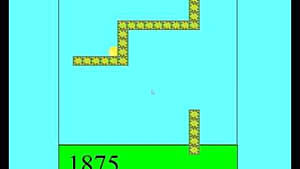 The core gameplay between the two games is the same: slither around and try to get other players to faceplant into your tail so you can gobble them up. Past that, Wormax.io brings some additions you don't generally see in .io games that add some much-needed value and extra fun to each time you play, even if just by a little bit. So let's get right to it: How is Wormax.io different from Slither.io and is it worth recommending to friends? If you just gave the game one play, you may have missed one of the handful of power ups (called boosters) that grant you buffs. These are sprinkled about the map and can be a huge help to your climb up the leaderboard. The benefits to these buffs are pretty obvious! One thing a lot of .io games don't deal with is permanent progression -- in this case Wormax.io has just that, in the form of improving your three default abilities and minor stat improvements. There are seven separate categories you can invest a currency called "essence" into. Each category improves your worm's quality of life, such as increasing starting length and vision range, but costs a great deal of essence. Essence is obtained simply by playing the game and playing it well (or buy it with real money). The better you do before you die, the more you will get. You must be registered and logged in to receive essence. I don't think I'd talk about boosting in Slither.io as an "active ability" but because of the way Wormax.io is, boosting is being referred to as an ability here. 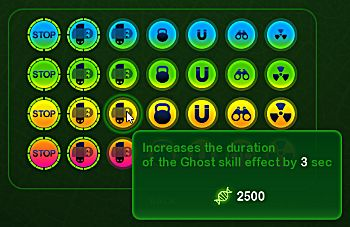 Along with the typical acceleration/boost you get in other Slither.io clones, there you also have the ability to stop completely still and to be completely untouchable (ghost) for a short time. 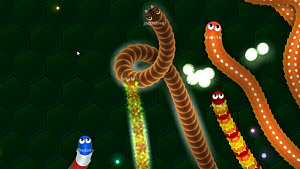 The stopping ability has a long cooldown but is a real lifesaver when other worms are trying to cut you off. 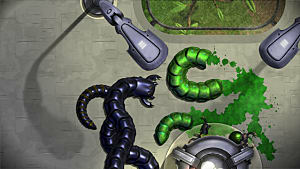 It's simple, but adds a layer of complexity not found in Slither. The ghosting ability only takes effect for a few seconds, but it makes you able to go right through any other players without them being able to touch you or vice versa. You can also eat food while ghosted! This is great for getting out of sticky situations and chowing down on unfortunate worms, but be careful to have your head in a safe spot when you come out. This may not seem like a big deal for some, but a lot of people really care about their skin options in .io games. 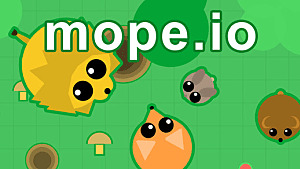 Wormax.io has 45 skins right now, ranging from spiky with colors to animals. I've taken screenshots of them all and uploaded them to another article if you're interested! 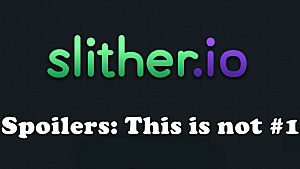 Let's be honest: Slither.io's getting kind of old by now. Sure, it's stayed consistent but it's getting kind of old playing with no incentive and people are looking for some sort of sequel. Wormax.io isn't perfect and the fact it has a "premium" membership and the fact you can buy essence with real money is a bit of a downer, but the power ups and progression are real draws to playing. Plus it already has the ability to join with friends. 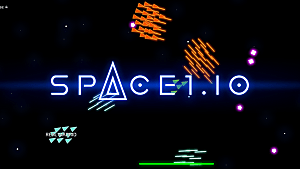 There are tons of Slither.io clones out there, but this one has some extra pizzazz that makes it more fun than most of the competition. Give it a shot!